Trained scientist with experience of academic and commercial research. Currently running a bioscience company in Cambridge, UK. Activist promoting openness, transparency and representative democracy, particularly in the field of policing, crime and justice; seeking to make Cambridge, and the UK, a safer and more pleasant place to live. Confident making technical presentations and speaking in public. Combining strong mathematical, scientific and IT skills with an interest in democracy and society. Resident of Cambridge for over a decade, living in Market, Arbury and Kings Hedges wards. Director of Cambridge based company, specialising in commercial applications of life-science publication, grant, and bioinformatics data. Clients include many major suppliers of equipment and reagents to the biotechnology and pharmaceutical industry, as well as consultancies, conference organisers, and those running specialist websites. Volunteer working on the freedom of information website WhatDoTheyKnow.com. Assisting users and helping develop and act on policies for dealing appropriately with requests to remove information from the site. Also tweeting and writing articles about the site and lobbying for improvements to Freedom of Information law. Contributing to maintaining the voting record for MPs on TheyWorkForYou.com. Civic activities carried out in public, and recorded via this website and Twitter (RTaylorUK). What I do is driven by a desire to live in a meritocratic society with a thriving representative democracy where civil liberties are protected. Regular user of the public speaking slot at Cambridge City Council and Cambridgeshire Police Authority meetings. Regular commentator on local, regional and national policing and crime related maters, particularly the expansion of TASER use by the UK police. 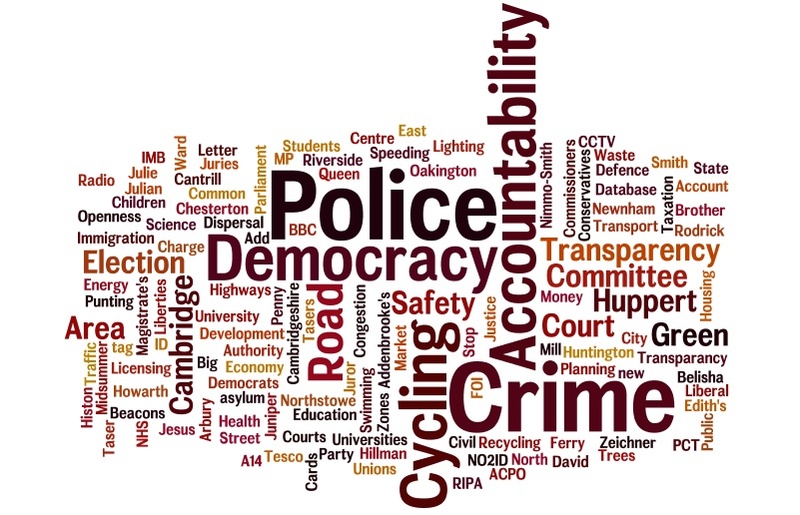 I use, and promote, Cambridge’s local democratic police priority setting meetings; and have lobbied to retain them. Ejected from a Police Authority meeting, for asking for a copy of a paper being discussed. Independent. Not a member of any political party. Working within the University of Cambridge for a spin-out company conducting commercial technology assessments and developing technologies for engineering functional microstructural formulations for biological materials. Working directly with major multinational clients. Appointed a Director in November 2005. Supervisor: Small group teaching of natural science, medical, and veterinary undergraduates. Supervision of students carrying out laboratory based research projects. Novel formulations for complex biological therapeutics, including viruses, DNA, lipids and proteins. Working towards inhalable viral formulations with applications as gene therapy vectors and vaccines. Working closely with Nektar Therapeutics (formerly Bradford Particle Design, and Inhale Therapeutics) on particulate biological formulation using the company’s specialist techniques within their facilities, as well as with a number of companies based in the Cambridge area. Automated aspects of Cambridge based biochemical reagent supplier’s operations via integration of internal and remote databases. Student trainer organising, promoting, writing and presenting training sessions. Promoted to supervisor in leading team of seven trainers. S. Zhai , R. Taylor, R. Sanches and N.K.H. Slater (2003) Measurement of Lyophilisation Primary Drying Rates by Freeze-drying Microscopy, Chemical Engineering Science, Volume 58, Issue 11, June , Pages 2313-2323. R.Taylor, S. Zhai and N.K.H. Slater, (2004) Functional formulations for gene therapy vectors, Presented at the 2nd Annual Biomaterials Workshop, Cranfield University, UK. J Morris, G.J.Morris, R Taylor, S. Zhai and N.K.H. Slater. (2004) The effect of controlled nucleation on the ice structure, drying rate and protein recovery in vials cooled in a modified freeze drier. Cryobiology 49, 308-309. Biochemistry BSc (2:1) Imperial College London. Final year courses: Bio-analytical Technology, Genetics and Genomics, Molecular Basis of Infection, Molecular Basis of Development. Research Project: Investigating membrane proteins of C.difficile, a human bacterial pathogen. Carried out at the Centre for Molecular Microbiology & Infection. Elected year and department representative. Member of Imperial College Union council for two years. A grade A Levels in Maths, Chemistry, Biology and General Studies.